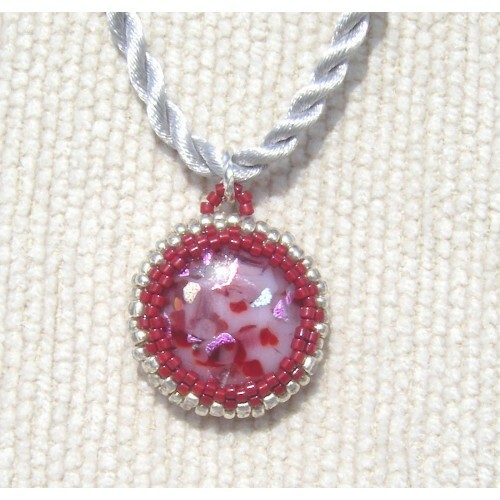 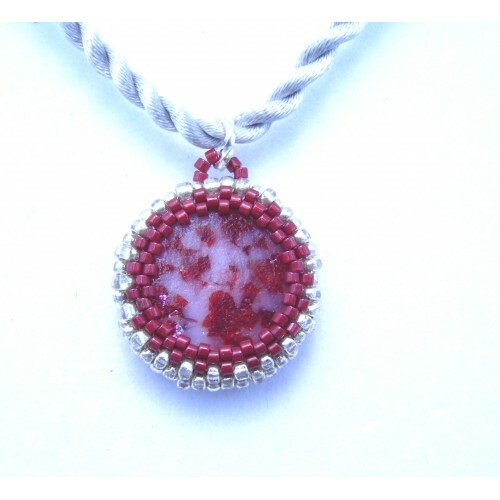 Cherry Blossom Reds and dichroic pinks frit fused in a round mold to make a sparkly cabochon. 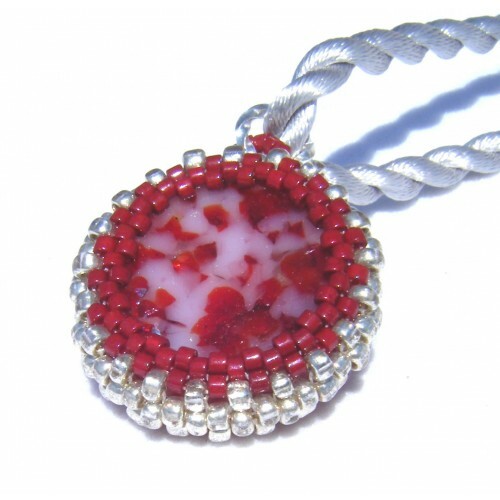 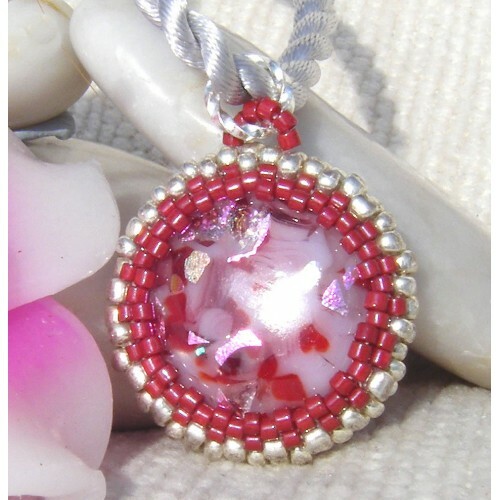 Captured in a silver and red seed bead sleeve. 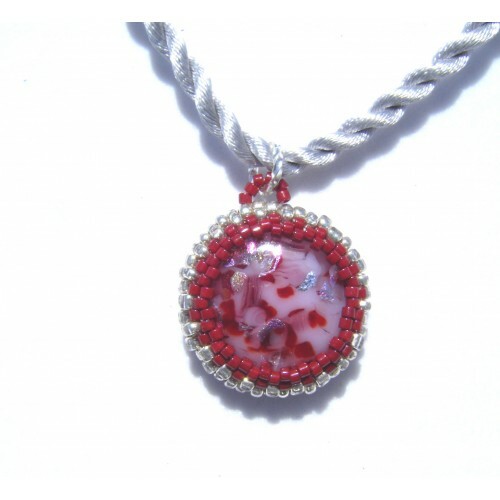 Dichroic glass is fused in the kiln, shaped and then the sleeve is handmade by sewing seed beads which are custom sized to fit the cabochon perfectly, holding it firmly.